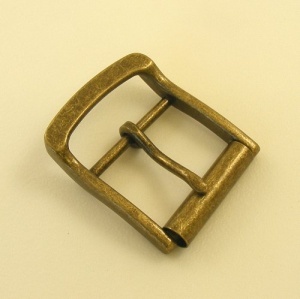 This is a chunky and solid belt buckle with an antiqued brass finish. It has a roller and a raised keeper, and is sized to fit a 38mm (1 1/2") strap width. 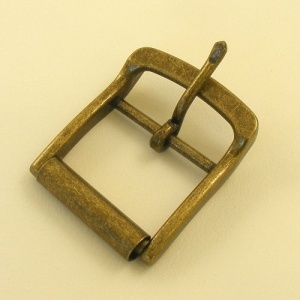 As this buckle has its own keeper built in, you won't need a belt loop as you would with a 'single' buckle.